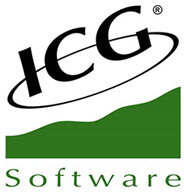 ICG Software has been providing businesses with scalable payment solutions since 1985. They offer true global solutions that help streamline restaurant management by taking different languages, currencies, and tax systems into account. And since Spoonity is integrated with ICG Software, all mobile payments get directly deposited in your account, which means it’s totally hands-off. We made sure that Spoonity is completely integrated with ICG Software, meaning you will have an easy time monitoring all in-store transactions. How come? Because you’ll actually have access to SKU-level data about all payments. Our platform doesn’t allow loyalty points to be added manually. As a result, every single transaction in your store(s)/restaurant(s) will be accurate. And since Spoonity is PCI DSS-compliant, you can rest assured that all payments are secure. Thanks to Spoonity’s foolproof integration and user-friendly design, your employees will find it’s very easy to get used to our platform. Not only that, but you can rest easy knowing that Spoonity doesn’t get in the way of any transactions. LOOKING TO INTEGRATE ICG SOFTWARE WITH SPOONITY?